It seems there’s been a huge myth that’s developed over the years thanks to Hollywood and so-called experts. This myth is that the shotgun is great because you really don’t have to aim, you can “spray and pray,” you don’t ever have to train with it, and all you have to do is rack the shotgun and the burglars will magically disappear. The fact is, every gun owner is responsible for every bullet that leaves our gun. I don’t like the fact that some folks are touting the shotgun for home defense because “even with your eyes closed” you can hit the target and you don’t have to know what you’re doing with the gun. I personally believe every gun needs to be respected and you need to train with every gun you plan on using for personal protection. So, if you’re going to use a shotgun for home defense that’s great, but make sure you go to the shooting range often, that you practice loading (combat loading too), and that you truly know how to manipulate the shotgun. The reason that I prefer the AR is that it holds more ammunition and it’s very easy to operate. I think the problem is that the AR looks more intimidating and so it scares many folks away. But, if they took a rifle course they’d quickly realize how simple it is to use. 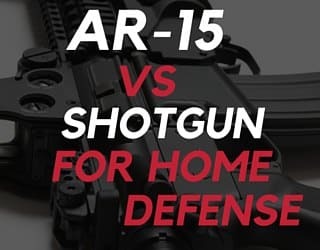 And, if you had a truly horrific home invasion scenario with multiple intruders you’d probably wish you had the AR since it has 30 rounds versus a shotgun that may have 5-7 shells. 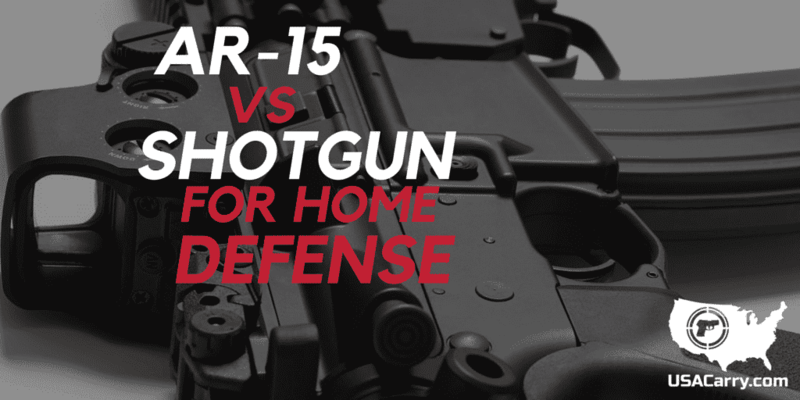 The bottom line is, the gun you use for home defense obviously comes down to personal preference and is purely your choice. Just make sure that whichever you choose, you don’t buy it and just throw it in a safe and never train with it. Take it out to the range and become proficient so there’s no question you’ll be able to properly operate it should your life ever be in danger. Previous articleAre Firearms A Sound Financial Investment?